Crush Beanie is rated 5.0 out of 5 by 6. Rated 5 out of 5 by Brovy from No exaggeration, best toque ever I'm quite particular about the fit of a toque/hat, and this beanie fits amazingly. I bought 2 different colours, and I'll probably get more, eventually. There is nothing I don't like about this beanie. 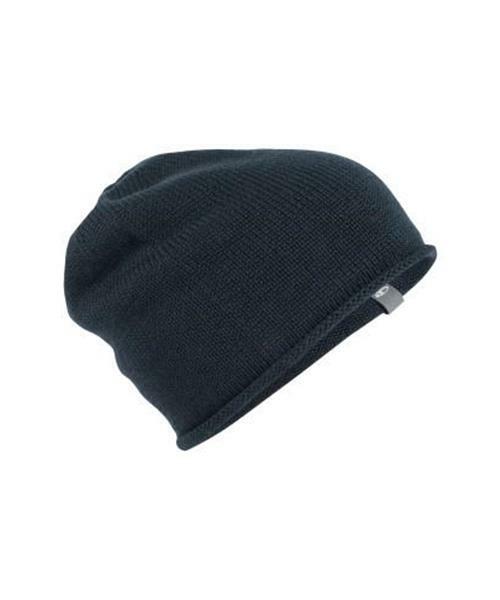 Rated 5 out of 5 by ToddM from Good casual toque Love the fit, comfort and look. Little disappointed with the amount of acrylic in the blend; because of this, and how thin it is, I think it's only good for shoulder season around here or winter days that don't go below -5 celsius. Don't go in expecting a deep winter toque and you'll be good to go. Rated 5 out of 5 by Regina from Super cute Beanie Simply love my new light weight beanie. It does fit into the pocket of my coat, warm and nice looking. Got it in the same color as my coat and it keeps my head warm in below zero temperatures. Very happy with it! Rated 5 out of 5 by JasperFox from An Icebreaker Family We have welcomed a new member to our family with the Christmas gift of this beanie. She loves it and is a potential Icebreaker fan like the rest of the family! Rated 5 out of 5 by Simm007 from Perfect for all activities I recommand this accessory. It’s perfect, warm, confortable, well designed. I lové it.